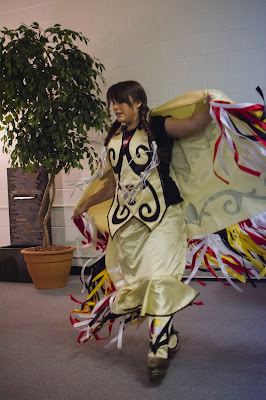 Today's photo was taken at last year's Youth Heritage Forum by Jeremy Harnum. This is a member of the First Nations Eastern Owl Women's Drum Circle. The group was part of last year's opening ceremony and are back again this year! Saturday March 19th is the 2nd Annual Youth Heritage Forum in St. John's. This year, the forum is focusing on heritage skills, networking, and mentorship. There will be mentors established in different fields such as archaeology, folklore, archives, and much more! Youth will have the opportunity to ask the mentors questions, network with fellow youth in the heritage field, and take part in exciting events like the heritage skills competition. Visit www.youthheritagenl.wordpress.com for more information and updates about the forum and register today!